On Sale Now! Free Shipping Included! 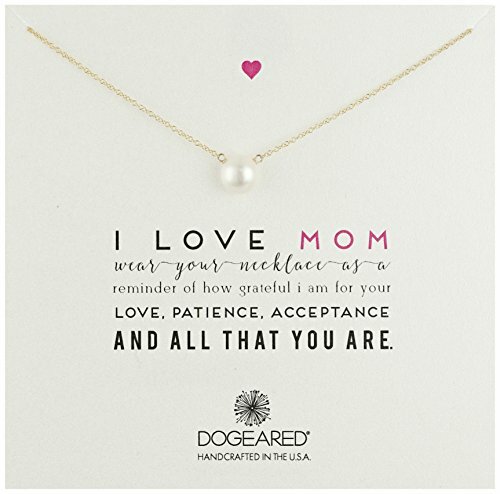 Save 3% on the Dogeared ''Mom I Love Mom Gold Large White Pearl Necklace, 20'' by Dogeared at Fdccla. MPN: 1G2385-01. Hurry! Limited time offer. Offer valid only while supplies last. Wear your necklace as a reminder of how grateful I am for your love, patience, acceptance and all that you are. Necklace features a pearl pendant.